Federal officials announced in September the indictment and arrest of a Baltimore man, involved in the most massive Ponzi scheme ever in the Baltimore–Washington metropolitan area. With his accounts frozen, Kevin B. Merrill, the mastermind behind the fraud, allegedly wrote a prison note to his wife telling her to hide their assets. The note was found in Merrill's sock by prison guards as he faces charges of defrauding investors of $364 million. “F--- them. They have taken enough! Get stuff out,” he allegedly wrote. 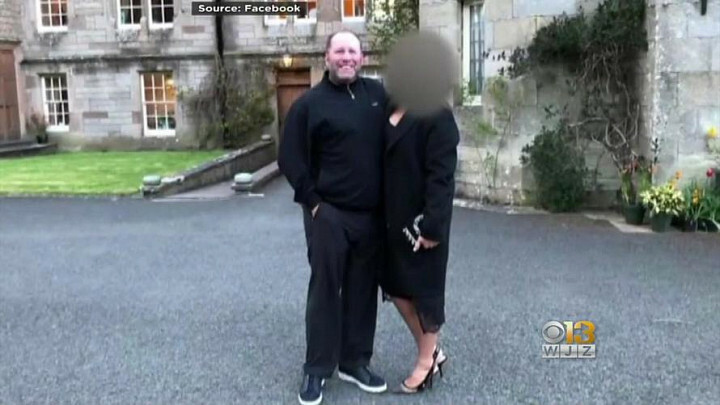 Federal prosecutors revealed the note in criminal charges filed last month against Amanda Merrill, the young wife of the mastermind fraudster. She was charged with conspiracy, obstruction, disobeying a court order and removing property to prevent its seizure. US Attorney Robert Hur said Merrill swindled family offices and investors around the country. He called it the largest Ponzi scheme in Maryland's history. Federal agents arrested Merrill in September and raided his multi-million dollar home in Ruxton-Riderwood, Maryland. He and his business partner, Jay Ledford, 54, of Texas, have been indicted on federal charges of wire fraud, identity theft, and money laundering. Investors in the scheme believed they were buying “consumer debt portfolios,” tranches of credit card debt, car loans, and student loans. Instead, Merrill shifted the money from new investors to old investors, prosecutors say. Merrill spent investors' money on dozens of luxury cars, including a million dollar Bugatti Veyron. Prosecutors say he spent $37,500 on designer watches and jewelry, $50,000 on private flights and $100,000 at Las Vegas casinos. They even say he decorated his mansions with the fine art of the mustached Monopoly character Rich Uncle Pennybags. 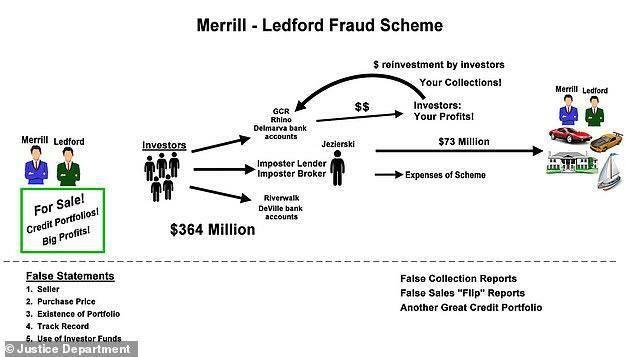 A federal judge issued a restraining order stopping Merrill and Ledford from selling their assets. Federal officials have filed documents with the courts to instruct Sotheby’s International Realty to sell a dozen mansions the men owned in Maryland, Florida, Texas and Nevada, collectively worth $20 million or more. 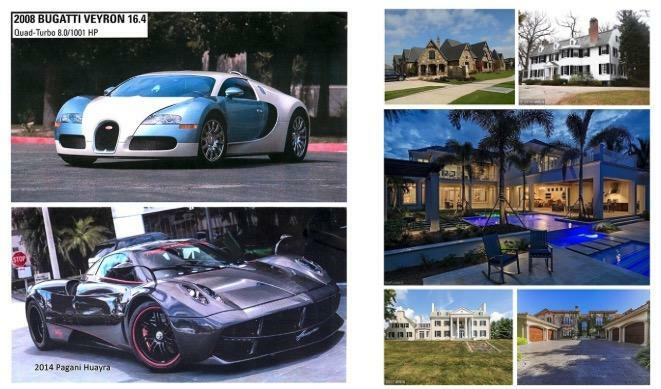 Officials are also ready to sell off the fleet of 34 exotic cars, motorcycles and boats. Both individuals have pleaded not guilty. Their trials have not yet been scheduled.